When it is time to get a new TV, you will be hard pressed to find some better than Visio. This site will give you detailed reviews of different Vision models. With our reviews you will get all the information you need to make you search as easy as possible. By reading through our reviews of Vision televisions, you can get all the information you need about the latest features, different screen sizes available and what each model has to offer. Plus, we’ll go through the pros and cons of each television, basically doing all the research for you! To start your search off on the right foot, go through the different Visio televisions available in 2016. You will find a short summary of each model, with an overview of their mean features and options. Then, you can take a look at our recommendations for the best Visio TVs, which takes the guesswork out of the process to help you get the best TV possible, as easily as possible. All three series have undergone a few changes to match the latest technology trends for 2015 and to keep pace with their competitors. However, the emphasis is still on affordability, so the new features may not be nearly as eye-catching as those of some of their competitors. The E series retains its vaunted versatility and offers a picture with excellent contrast so that it does not reflect too much light back at the viewer. In other words, the E series works well in rooms that are well lit as well as those that are darkened. Because there is little in the way of motion blur, they make the perfect TVs for gaming as well. New smart features have been added which includes dedicated app buttons on the remote, although their importance is based on whether they pre-selected apps work well for you. The M series is an overall upgrade from last year with continued emphasis on picture quality. The upscale abilities on the 2015 M series represent an excellent feature that makes watching images virtually as crisp and clean as those on native 1080p sets. This means that watching Blu-Ray movies, for example, or high quality streams is quite good on the M series. While there are the usual complaints that it does not have all the fancy features of similar products from other manufacturers, the overall price is significantly lower. The P series has not undergone any significant changes for the 2015 year and it seems it is likely to be discontinued by the end of 2015. It is nearly identical to the M series and offers a QWERTY keyboard along with a remote. What separates the P series is its number of dimming zones as compared to the M series, which does make a difference when they are enabled for certain types of viewing. However, while the P series offers more features, it really is not all that much better than the M series in terms of how it appears, despite being a 4k TV. This may be why the series is set to be discontinued at the end of the year. Vizio M-series LED TV is efficient to deliver plasma like rich colors and it performs equally in all lighting conditions. This TV is loaded with all advanced features including LED back-lighting, local dimming, UHD streaming etc. It provides you with an interactive platform featuring built-in Wi-Fi capability so that you can access all your advanced applications, latest videos, games and movies directly from internet. One of its amazing features include its ability to provide seamless data transfer between TV and other mobile devices like tablet, phone etc. everything happens with just a flick of your finger and TV is featured with multi screen viewing abilities. To connect your external devices to Vizio M-series TV set you can make use of 4 HDMI as well as 1 USB port. Thus, you can easily enjoy your collection on large screen with ultimate resolution. You can access on screen user manual to learn about its interactive features. If we talk about energy efficiency of Vizio M-series, then it is good news for you that this TV possesses an Energy start rating of 6.1 that means you can save much amount by reducing your energy bills. Vizio M-series provides 2160p of resolution so that you can enjoy breathtaking video streaming with UHD picture quality. Some models are having 14 active LED zones whereas others possess 32 active LED zones to boost rich contrast and uniformity in brightness. The fast internet connectivity gives you premium access to all popular internet applications and content including Netfix, Amazon, Twitter, YouTube, Facebook, Pandora and Hulu Plus. Thus, you can enjoy advanced data streaming with your home theater that provides you efficient interfacing with applications. 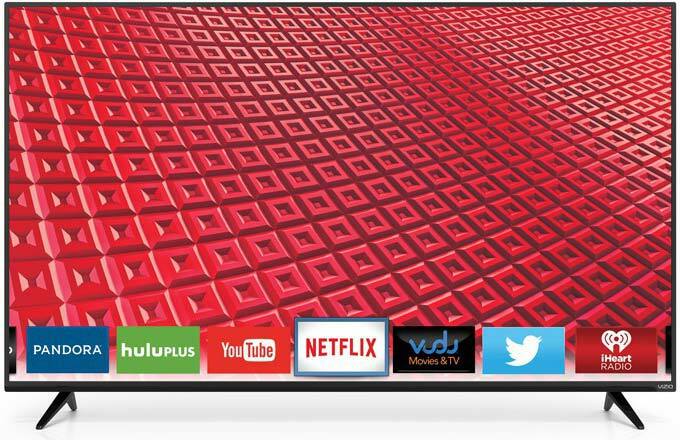 Vizio M-series gained great popularity among masses of people. Due to its great picture quality and rapid interfacing, all TV models of this series are loved by people. It gives you a luxurious feeling while watching videos over it and one can use it in a most interactive way. With a huge growth in technology, now users can enjoy incredible picture quality with High Definition Vizio E-series TV models. Its full array LED panel provides 16 active zones of LED for perfect adjustment of deep black and brighter colors for every picture. With its 3D technology, you can enjoy all the latest movies at your home with a blend of entertainment. Vizio E-series provides you an interactive environment for Internet connectivity via its built in 802.11n Wi-Fi. You can easily work on many applications for streaming videos, news, music or movies. The Vizio internet Apps PLUS feature allows you to find your favorite entertainment with minimum efforts using the latest applications such as NetFix, Amazon, Facebook, VUDU, Spotify, Pandora, Hulu PLUS, iHeartRadio etc. This TV series is popular for its ultimate picture clarity and color contrast, which remains powerful even during rapid content movements. Vizio E series is full HD version of TV whereas M series lead to Ultra High Definition image quality still E series is popular for its minimal input lag and motion blur for high speed games. Viewing angles in E series are not efficiently adjusted, so you cannot view a clear picture from corners but this care was taken in M as well as P series of latest Vizio TV models. For gaming point of view M-series and P series is good but E-series delivers best color contrast and brightness adjustment with its clear action 480 and 16 active zones of LEDs. As E series TV models of Vizio can deliver only 1080p of resolution for its HD presentation, M-series is popular for its 2160p resolution with UHD. The up-scaling technology of P and M series provides easy transformations from HD to UHD for every video series so that users can enjoy high quality pictures on screen. The most important part of E series is its affordable price that maintains standard as well as quality for your home theater. To understand what makes each series of E, M and P series stand out, it is important to recognize the emphasis that Vizio has placed in marketing a high quality, yet very affordable product. E series provides great gaming TVs with minimal motion blur and input lag and as per its price, picture quality is also satisfactory. The bad part of this series is improper adjustments of viewing angles with disturbance are grey level and various on-screen issues. E series is loaded with local dimming property that makes its picture quality worst. But still, the E series of Vizio provided all screen sizes and are being used by many people due to its affordable price. Vizio P series actually delivers 4 K resolutions with excellent contrast and perfect deep black level adjustment. It provides high accuracy for on screen colors with improved aspect ratio and the most important thing is its lowest lag of input for gaming. This device offers excellent and efficient connectivity for 4K reconcilable HDMI inputs. What can be said about each of the entries is that they represent a no-frills approach to television technology. You will not find fancy 3D effects, nor do they have motion-sensing remotes that several other brands offer for their products. The best way to characterize the E, M and P series is that they are designed to be straightforward products that deliver exceptional picture quality at a low, affordable price. Essentially, Vizio is emphasizing what many people want in a television, which is great picture quality and little of anything else. While other companies may emphasize fancy effects or new gadgets, the approach of Vizio is their lower prices while retaining a high quality picture. In this aspect, Vizio has managed to leap ahead of many of their competitors in this regard. While Vizio televisions in each of the series do not quite match in picture quality the top of the line versions from several of their competitors when it comes to the same size screen, their televisions are far more economically priced, which has proven to be a very attractive reason for their customers. It is not to say that affordability is the only factor which separates Vizio from their competition, but it is arguably the one that is the most important in terms of why customers purchase their products. Aside from the affordability is the emphasis on function and ease of use which is another attractive feature of Vizio televisions. That is not to say the E, M and P series are not without some criticism, but it is generally less when speaking to consumers who enjoy having a good, affordable television for their needs. The Vizio E, M and P series represent the ultimate example of consumer-friendly televisions. 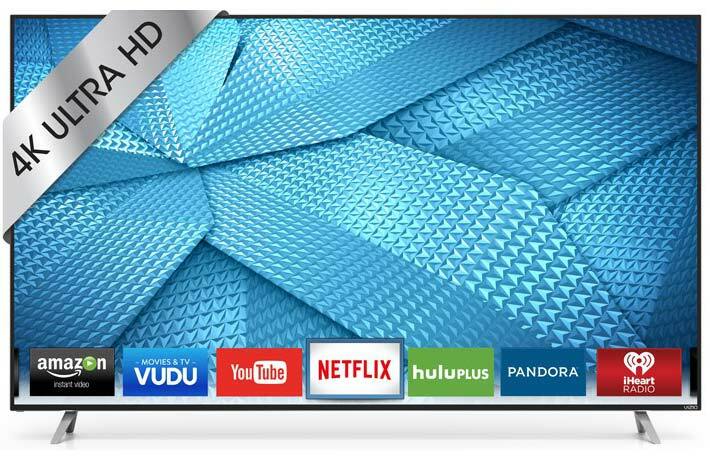 Instead of being overwhelmed with features many of which may go without being used, Vizio instead focuses on picture quality and affordable prices. In review after review, the E, M and P series have been cited for their emphasis on delivering a high quality picture at prices that their competitors simply cannot match. Because each in the series offers generally fewer features than their competitors, they do have certain disadvantages for those who may want such features and will use them on a regular basis. However, thanks to the sturdy, durable qualities of the Vizio series, this also means that there is less that can break down and be in need of repair. By creating a more streamlined approach that strips away features that are seldom used by many, Vizio offers a line of televisions that are far more robust and durable. It is also true that the overall look and appearance of the Vizio sets are quite appealing with the famed Vizio logo at the bottom and the sleek, dark frame that works well in many different settings. It must be noted that if you are not placing the television up on the wall, the 2015 versions of the E, M and P series must have a wide base because the stands are set up at each end of the televisions. In the end, for those who are interested in getting the best picture quality while not paying for all the extras, then Vizio is the right choice. They have been celebrated over the years for bringing a high quality picture that matches much of their competition while being far more affordable. If you want to save money for a television that may also be used for gaming purposes, then check out the E, M and P series from Vizio.